Blog Entries Tagged: Dongan Hills Ave. Tagged : Dongan Hills Ave.
Found 21 blog entries tagged as "Dongan Hills Ave.". MacArthur Park, in Staten Island's Dongan Hills neighborhood. Sunday, June 10th, 2012 at 7:29pm. In 1925, just ten days shy of turning forty-five, Brigadier General Douglas MacArthur, of the United States Army, was promoted to Major General. This made him the United States Army's youngest two-star major general. This wasn't the only honor which made General MacArthur significant, though. In 1937, he had decided to retire, but was called back to the United States Army in 1941. It wasn't until 1951 that General Douglas MacArthur retired a second time, after having become a very decorated soldier. 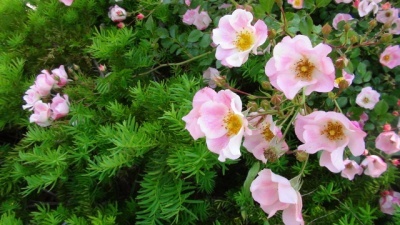 Sunday, June 3rd, 2012 at 12:50pm. 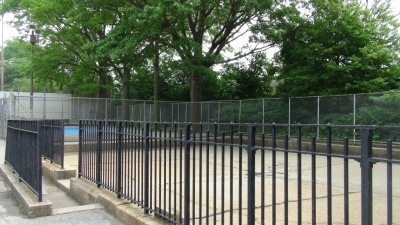 Located in the neighborhood of Dongan Hills is the Dongan Playground. It is bounded by streets on three sides and a school on the fourth side. The three streets that border the park are Buel Avenue, Mason Avenue, and Dongan Hills Avenue. The school that is located next to the park is Public School 52. Dongan Playground became part of the New York City Department of Parks and Recreation in 1968. When it first opened it was known as P.S. 52 Playground, for the school located next to it. 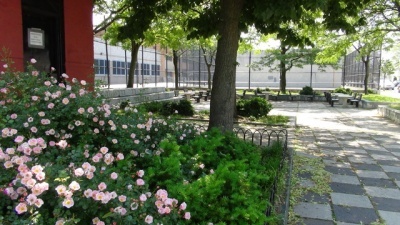 In 1986, the name of the park changed to Mason Playground, for one of the bordering streets. In 1997, the name of the park changed to what it is known as today, Dongan Playground. Tuesday, November 8th, 2011 at 12:18pm. On 6/23/2005, 406 Dongan Hills Avenue was publicly recorded as transferred without consideration for money. This is a two-family home in the neighborhood of Midland Beach, Staten Island, 10305 that is located on block 3706, lot 19. It was built in 1970 with a living space of 2224 square feet on 4600 square feet of land. Thursday, November 3rd, 2011 at 1:54pm. A one-family home is standing at 477 Dongan Hills Avenue in the neighborhood of Midland Beach, Staten Island, 10305. This home was built in 2003, on block 3708 and lot 58, with a living space of 2400 square feet on 3200 square feet of land. This residence was publicly recorded as sold for $590,585 on 8/24/2005. If you have questions regarding this house or property, or you need to get a current home value market analysis, you an contact our Staten Island industry leading Realtors at (718) 966-9669. Thursday, November 3rd, 2011 at 1:53pm. A one-family home is standing at 471 Dongan Hills Avenue in the neighborhood of Midland Beach, Staten Island, 10305. This home was built in 2003, on block 3708 and lot 61, with a living space of 2200 square feet on 2400 square feet of land. This residence was publicly recorded as sold for $441,090 on 2/18/2005. Thursday, November 3rd, 2011 at 1:52pm. A one-family home is standing at 465 Dongan Hills Avenue in the neighborhood of Midland Beach, Staten Island, 10305. This home was built in 2003, on block 3708 and lot 63, with a living space of 2200 square feet on 2400 square feet of land. This residence was publicly recorded as sold for $439,962 on 4/20/2005. Thursday, November 3rd, 2011 at 1:51pm. A one-family home is standing at 461 Dongan Hills Avenue in the neighborhood of Midland Beach, Staten Island, 10305. This home was built in 2003, on block 3708 and lot 64, with a living space of 2200 square feet on 2400 square feet of land. This residence was publicly recorded as sold for $438,089 on 2/25/2005. Thursday, November 3rd, 2011 at 1:50pm. A one-family home is standing at 459 Dongan Hills Avenue in the neighborhood of Midland Beach, Staten Island, 10305. This home was built in 2003, on block 3708 and lot 65, with a living space of 2200 square feet on 2400 square feet of land. This residence was publicly recorded as sold for $436,020 on 3/11/2005. Thursday, November 3rd, 2011 at 1:49pm. A one-family home is standing at 457 Dongan Hills Avenue in the neighborhood of Midland Beach, Staten Island, 10305. This home was built in 2003, on block 3708 and lot 67, with a living space of 2200 square feet on 2400 square feet of land. This residence was publicly recorded as sold for $425,880 on 2/11/2005. Thursday, November 3rd, 2011 at 1:48pm. A one-family home is standing at 455 Dongan Hills Avenue in the neighborhood of Midland Beach, Staten Island, 10305. This home was built in 2003, on block 3708 and lot 68, with a living space of 2200 square feet on 2400 square feet of land. This residence was publicly recorded as sold for $441,090 on 5/20/2005.